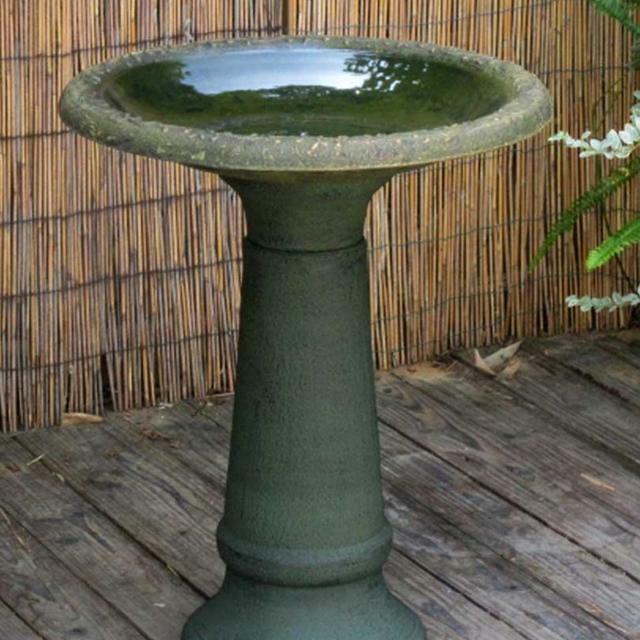 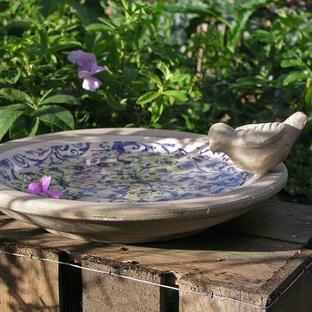 The Conniston bird bath is made from a durable material called Clayplas+. 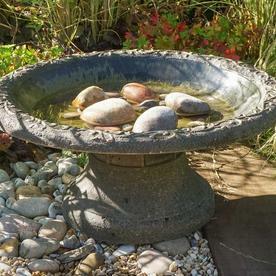 This is a composite material of 30% recycled plastic and 70% clay which gives a light weight durable finish but gives an aged stone finish. 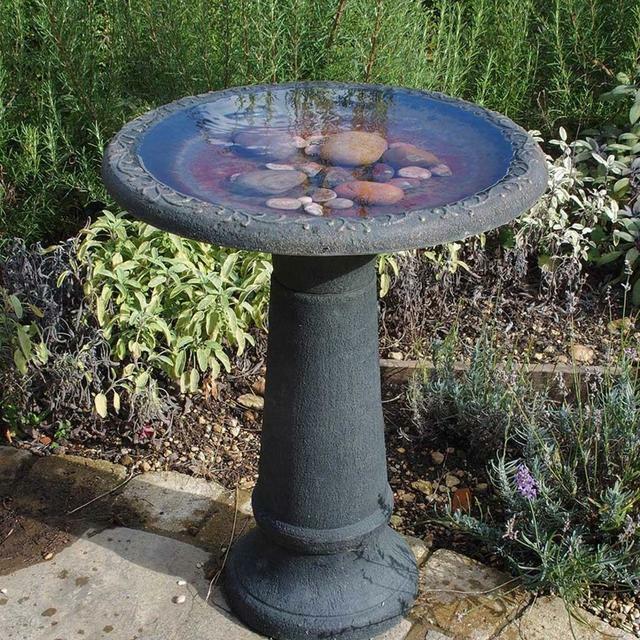 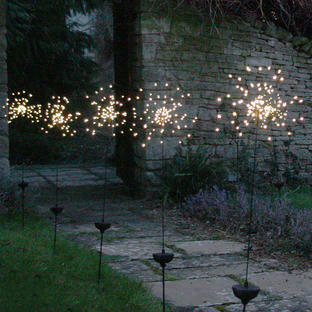 The material comes with a 10 year guarantee, so it will not crack or break in frost or harsh weather. 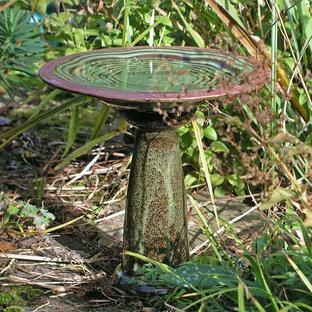 The colour is a deep green with bronze detailing. The Conniston bath comes complete with 2 stands, a tall one and a smaller stand (stand is 10cm tall) so you can choose which stand you would like to place the bird bath on in the garden. The stands screw on to the base of the bird bath.